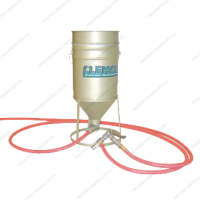 The Clemco Hollo-Blast cleans the full 360 degree inside diameter of pipe to white metal finish. 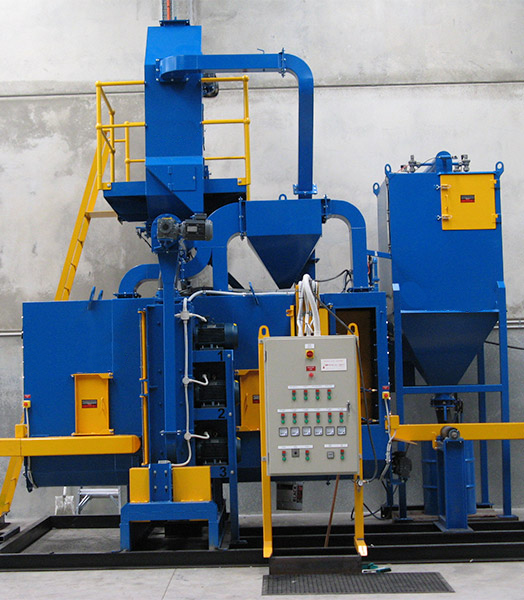 It operates without need of rotating the pipe or the tool. deposits such as rust, carbon millscale, coke and paint are easily removed. 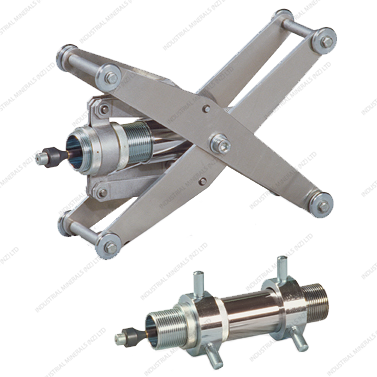 The Hollo-Blast will accommodate pipes from 2 inch to 12 inch I.D. and lengths up to 40 feet. 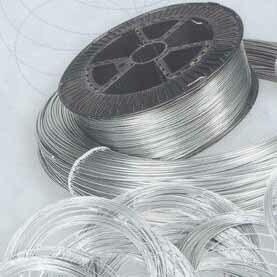 Any abrasive (except aluminum oxide or silicon carbide) 20 mesh or finer may be used. 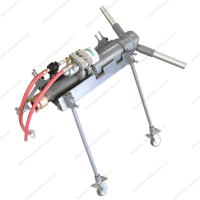 In operation, the proper model is attached to a pipe lance and connected to Clemco blast hose. 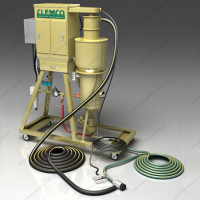 The Hollo-Blast is inserted into the pipe, the Clemco blast machine is started and the Hollo-Blast is manually pushed through the pipe. Abrasive hits the tungsten carbide deflector tip and fans out to clean the 360 degree interior. Air will blow spent abrasive and contaminants out of the pipe. The rate of cleaning depends on deposits being removed. Hollo-Blast is available with 1/2 inch or 5/8 inch nozzles. Standard HB-1 delivered with 1/2 inch nozzle. Air consumption, 1/2 inch 200 CFM, 5/8 inch 350 CFM.